Panasonic Viera ST50 series information: This review is based on our hands-on experience with the 55-inch TC-P55ST50 TV. However, our observations also apply to the other models in the ST50 series. According to Panasonic, the sets differ only in dimension and weight and offer identical features and performance. At CES this year, Panasonic claimed it cleared the drawing board and built its 2012 plasma TVs from the ground up to make them 50 percent brighter than last year’s models and with smoother fast-motion performance than ever before. In our Panasonic TC-P55ST50 review, we take a look at where Panasonic has taken plasma for 2012 and determine whether its product revamp has yielded valuable results. As we’ll explain in our setup section, handling this 55-inch plasma is a two-person proposition. Though plasma displays have lightened up considerably over the past few years, they haven’t managed to get past the fact that quality glass is a bit hefty. As such, this TV comes in at 61.8 pounds spread out over approximately 30.5 x 50.7 x 2.5 (H x W x D, in inches). From an aesthetic point of view, we’d say the TC-P55ST50 is a handsome TV. It has a pretty sizable bezel in comparison to much of its like-priced competition but, somehow, it is well executed enough that it doesn’t make the TV look outdated. The edge of the bezel is dressed with a clear acrylic material, giving it a glassy-looking edge. Our office was divided on this last point; some liked it, others did not. Give the display a close look if you are concerned with how the panel might look in your home. Frankly, we think you’ll be too busy looking at this set’s picture to spend much time worrying about its frame. 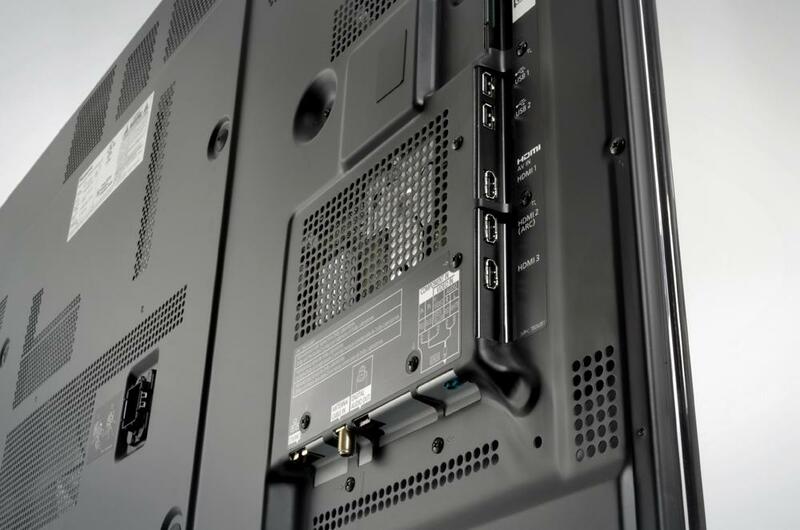 As we mentioned earlier, you’ll want to have a helper handy when it comes time to setting up the TC-P55ST50 TV. Its weight and size make it too unwieldy for it to be safe to manage without a second pair of hands; this stands whether simply installing the provided base or when mounting on the wall. Whiteness and brightness: No, this isn’t a Clorox commercial. But just like white laundry, you want your TV’s whites to look bright and white, not muted and dingy. Were we to judge the TC-P55ST50’s white performance based on calibration discs alone, we might be led to think that its “true white” performance was a little off. However, when properly calibrated, the display’s real-world white performance was awesome to behold and adept at waging battle against bright-room environments. Screen reflectivity: It takes more than a bright panel for a TV to be able to hang in a bright room and still look great. LCD displays have historically been favored for bright rooms not just because they have backlights that can be cranked up to ridiculously high levels, but because they have matte screens that reflect less ambient light at the viewer. Because plasma displays must use glass, it is tough to avoid the “mirror effect.” The Panasonic TC-P55ST50 isn’t immune to this issue. Add to that the fact that reflected light calls even more attention to the grey screen and what we have is another plasma that prefers darker room environments. Panasonic did make strides toward making its plasma TV’s brighter, but they are still not the ideal solution for brighter rooms. Color accuracy: We can’t imagine wanting for more accurate color reproduction. This TV’s colors are simply gorgeous. We are particularly impressed with its treatment of the color red. We’re used to really hot, overblown reds that look more like burnt orange than anything else, but the TC-P55ST50 puts out rich reds that are a treat for the eye. Flesh tones are also excellent. When it comes to accurate color, plasma still reigns king and this set is one of the better contenders on the market. 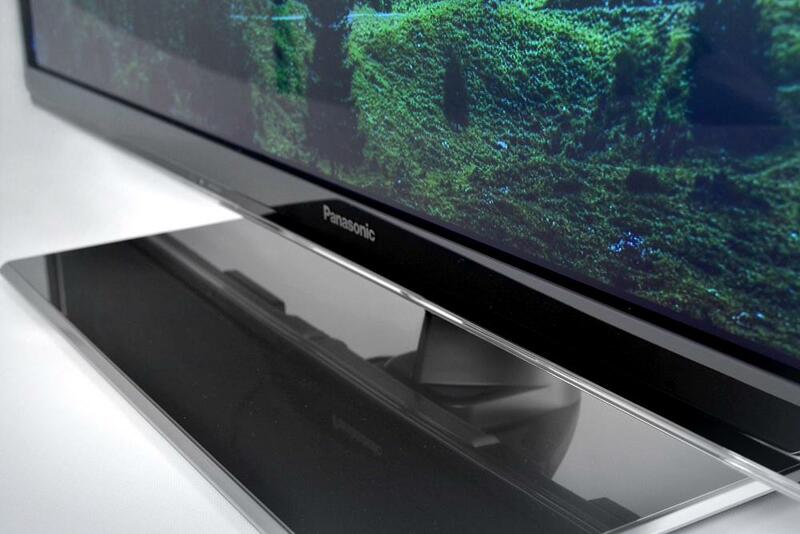 If we didn’t already know that the TC-P55ST50 wasn’t Panasonic’s top-of-the-line plasma, we’d swear that it was. Based on picture performance alone, this could just as well be Panasonic’s flagship model. That it isn’t comes down to a few bells and whistles and a slightly trimmer form factor. For the majority of shoppers interested in plasma, the $,1500 (roughly) TC-P55ST50 is the ticket to top-tier performance at a totally accessible price.